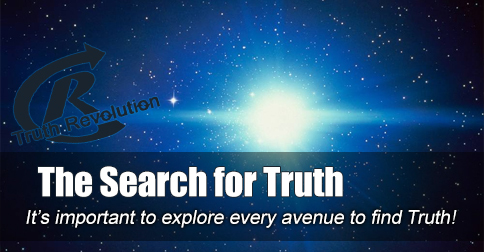 There are many avenues to explore truth. It is impractical to ignore any of these, as we believe that the search for truth always leads back to Jesus! [audio:http://www.truthrevolution.tv/show/TS-0324.mp3]No Flash Support? Use this Audio Player! Dave: We want to know whether things are scientifically proven, and that’s a good thing. Dave: Truth. It can lead us to truth. Jeff: One problem, however, is that science is not the only way to find truth. Dave: For some reason we’ve elevated science above all other disciplines in our culture. Jeff: But philosophy can guide us to logical and epistemological realities. Dave: Archeology can help us discover truths! Jeff: Not to mention psychology. Jeff: And math. Heck, even art can help us explore truth. Dave: So, while asking whether something is scientific is fine, be sure not to exclude other methods of finding what is real. Jeff: Quick example: scientists engage in study about the beginning of the Universe, and whether it is eternally old. Dave: But philosophy already answered that question. You cannot traverse and infinite amount of time and end up here. Jeff: Science. It’s awesome. But, it’s not the only way to gain knowledge.